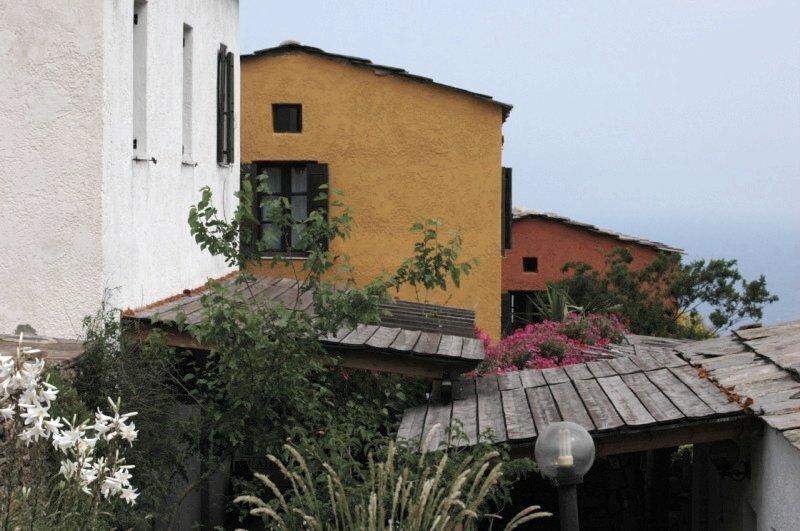 On this page we present the present - information, coming events and anything else we feel will help our readers gain an insight into Ikaria. If you see a link icon, clicking on it will take you to fuller information. In Greece, almost everyone is named after a Saint. Because of that people tend to pay more attention to the day on which the life of 'their' Saint is celebrated - their Name Day - rather than their Birthday. So, all Giannis will celebrate on January 7th and all Helens on May 21st. Many people will hold an open house on their Name Day. So, on the 7th January it is possible to go from one Gianni's house to another to wish then Chronia Polla - Many Happy Returns. 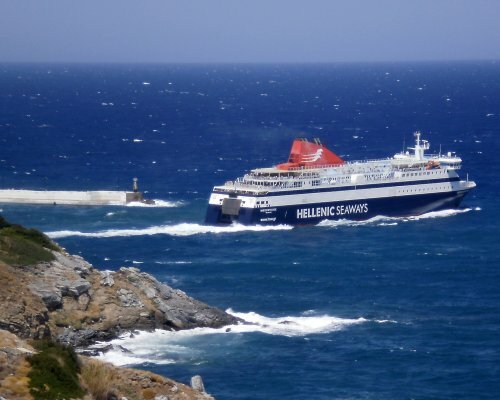 This page links to more information about the airlines and ferry companies that communicate with Ikaria together with links to the relevant websites. Definitive information is difficult to collate because schedules and routes change from year to year and season to season. Our page does it's best to help you find the options. Oral History is the recollections of ordinary people recorded and preseved. It is now recognized internationally as being just as important as official historical records. 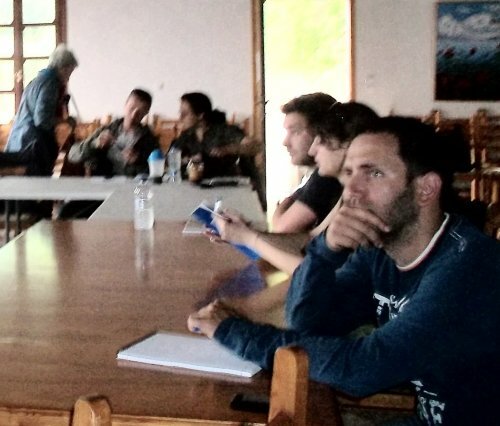 If you are interested in this project, maybe even want to be involved, there is more information on the link or you could contact Topsy Douris via the ContactUs form who would be glad to discuss the project with you. These notes were inpired by having to explain to our visitors to the island what to expect when they first came. 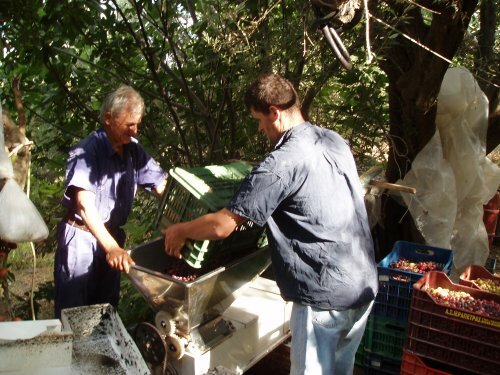 To a large extent is simply explains the relaxed Ikarian way of life. This is a list of the Festivals that the Ikarian villages all hold known locally as a Panigiri. They are held at different times through out the year associated with Saints Days. 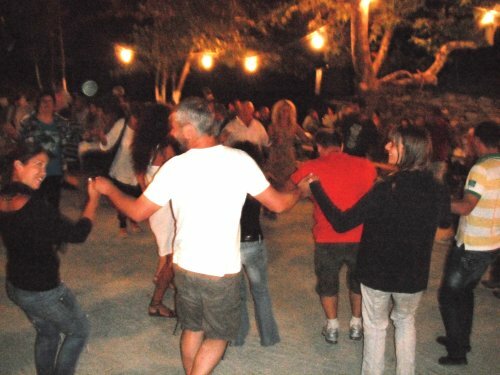 Food and Drink is sold and live music is playing till the early hours of the morning and everyone gets up to dance. 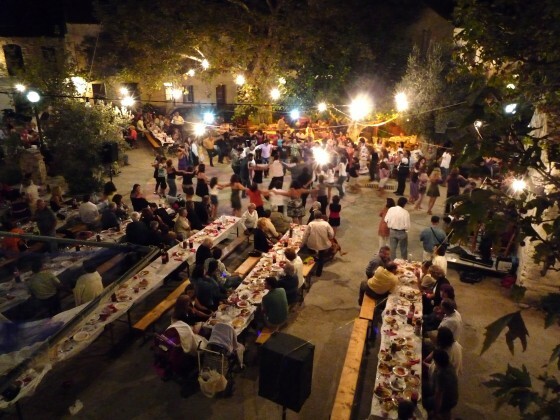 The profit from such an event goes towards improvements to the village where it was held. Hover over the stars for quick info, click on the star for a picture and fuller information. 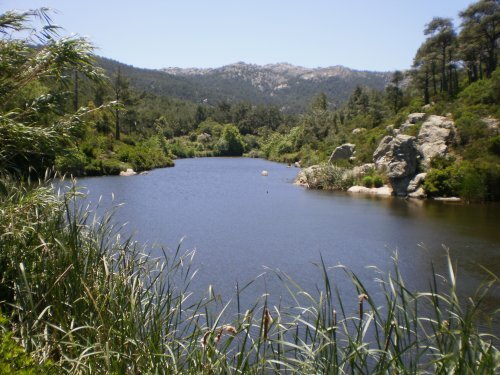 For walkers and ramblers Ikaria has much to offer: hills, woodland, gully and gorges, picturesque villages and a warm response from local people you might encounter. Until the 1960's there were few roads on Ikaria. Travel between villages was by boat or by pathways. Those pathways, which were well made, and in some cases paved, are still there and are gradually being cleared and made walkable again. 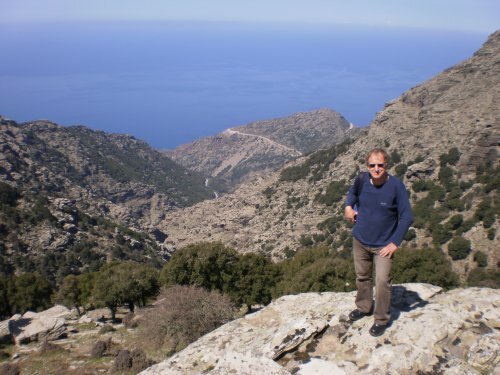 This item links to a series of walks documented by Gordon Gilmore over the last few years on Ikaria. The Ikarian Watermill There are many Watermills scattered within the Ikarian valleys, sometimes more than one per valley. 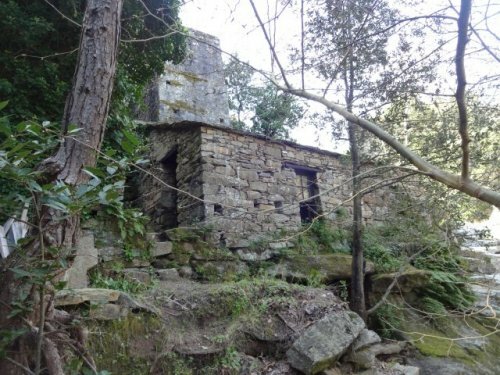 Being ao very different in mechanism that English (and possibly other European) watermills, I find them fascinating. A bonus is that, being hidden in valleys, finding them can provide some very interesting walking. Ikarianna provides guidance for individuals and small groups in experiencing Ikarian life. (See right) Of particular interest is their introduction to the mysteries and benefits of bee-keeping. It's all Greek to me !! It doesn't have to be. 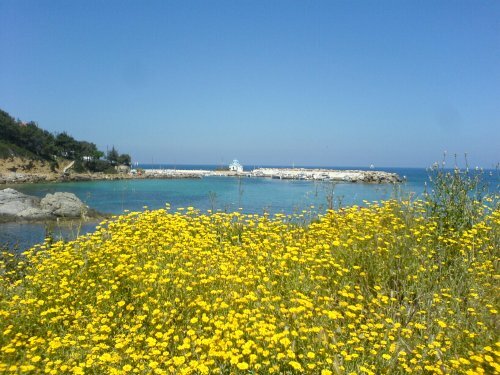 Learning Greek on Ikaria is easy. 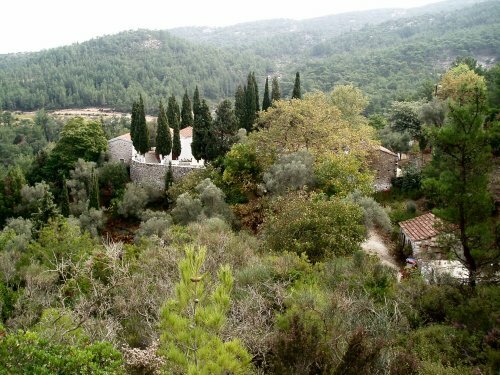 There has been a summer school in the village of Arethusa on the north side of the island for many years now. 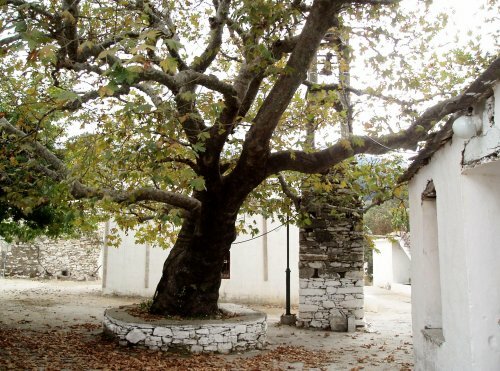 Michali who runs the school combines the learning of Greek with Ikarian culture and visit to places of interest on the island. 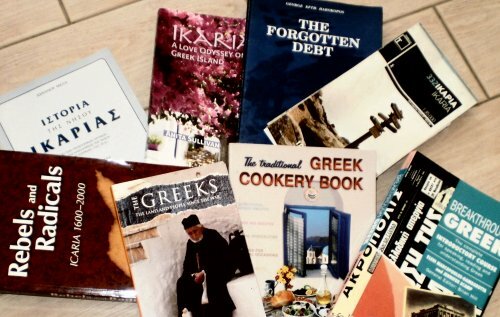 Information and Links to Books and other sources of information about, mainly Ikaria, but also about Greece and Greek history. Learning to Dance like a Greek! 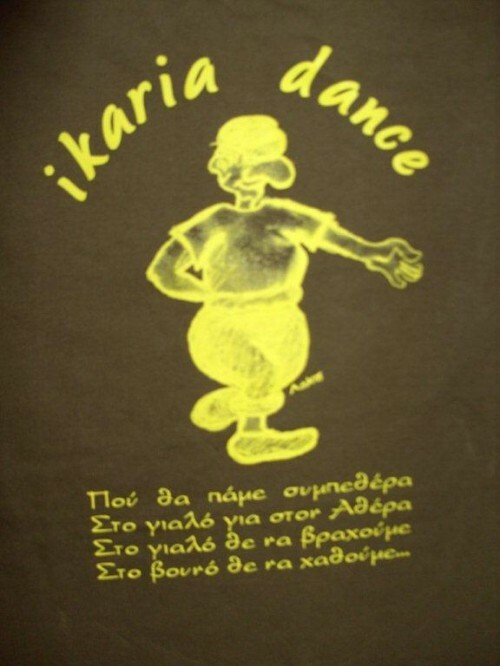 For anyone wanting to learn all about Greek dancing, thereby be able to join in the dancing at the Panagiria, this is a link to the best Tradition Dance Seminars. Christiana has been teaching Greek Dance on Ikaria and at other places around Europe for many years with enormous sucess. If you have any information or stories that you feel would be appropriate on this page please do get in touch with us.